What I love about “Human Invasion” is it takes some of the gameplay from Imagic classic “Atlantis” (which I played in the early ’80s on the Mattel Intellivision), the setting of Incoming Forces (where you play as an alien race being invaded by humanity, a nice reversal of roles). 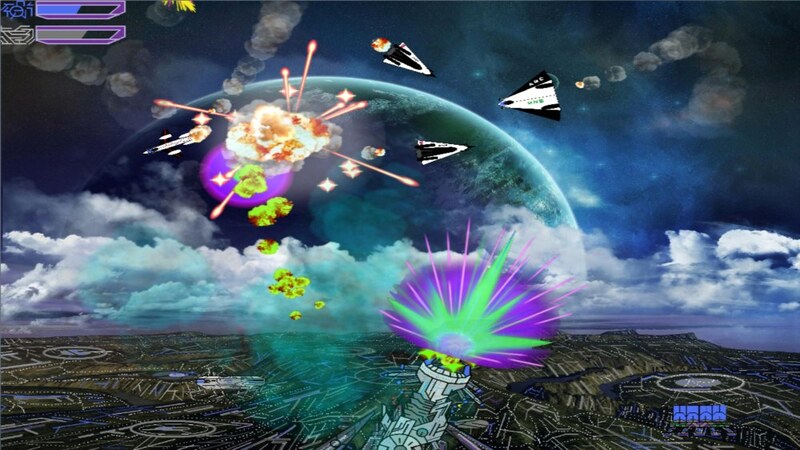 The game has you operating a defence installation while human ships descend on your planet. You have to shoot them down before they get too close. Gameplay is simple, yet for me it was compelling and an easy 80 Microsoft Point purchase. The one thing that struck me as strange is that you control your defence laser with the right stick, which is an unusual choice but I adjusted to it quite quickly.